Described by BBC Music Magazine as “perhaps the most ‘complete’ pianist of his age, Canadian Jan Lisiecki is an exceptional young musician. 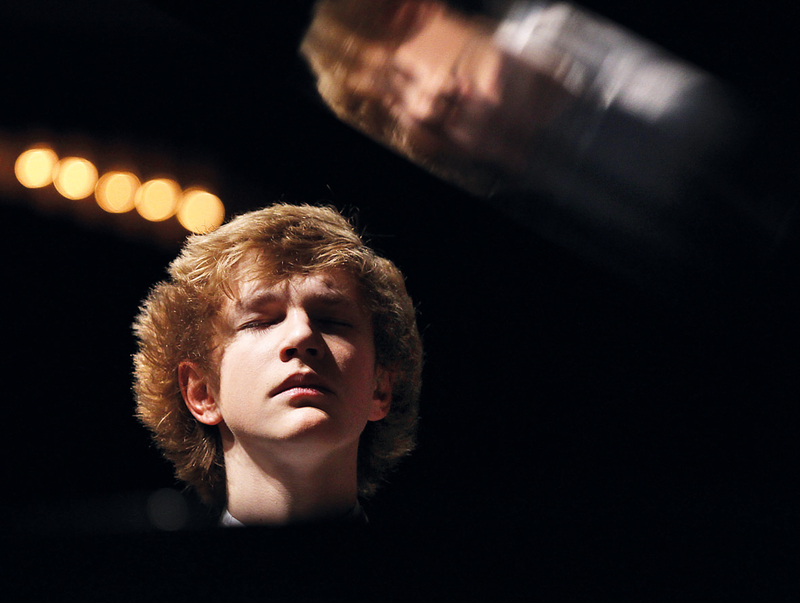 At just 15 years of age Jan Lisiecki signed with Deutsche Grammophone. His biography, though short in years is already packed with highlights other musicians can take a lifetime to achieve, if at all. In 2008 he was made a national Youth Representative by UNICEF Canada. Come and experience the poetic playing of this young man yourself when the Tonhalle hosts a solo with Jan Lisiecki in the Helmut-Hentrich-Hall on Saturday April 21 at 6.30pm. Tickets available from the Tonhalle. The programme will include Bach, Beethoven, Litszt and Mendelssohn-Bartholdy. I just watched a documentary on CBC about your accomplishments while flying back home from Afghanistan and it was quite inspiring. I was there for the past four months flying the Chinook helicopter for the Canadian Air Force. Many thanks to the Tonhalle for sponsoring two tickets for this concert for the English ‘We Love Music’ tour on April 7th along with two tickets for the Sternzeichen 10 concert on April 20.